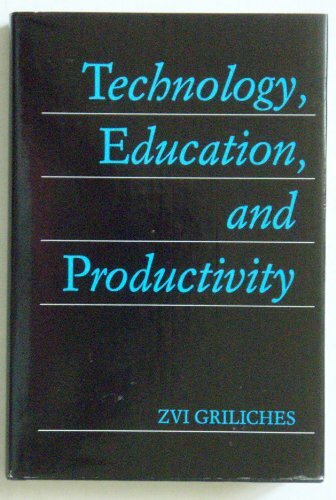 This book brings together some of the important earlier and less accessible papers by Griliches on the economics of technological change, the diffusion of new techniques, the measurement of quality changes, the measurement of returns to investments in education and R & D, the measurement of productivity, and the analysis of the sources of economic growth. It contains an introductory essay which puts these papers in perspective and provides a guide to and an extensive bibliography of the subsequent literature in these areas. The papers are largely empirical, illustrating the application of econometric techniques to such topics and developing an endogeneous, economic view of the process of technological change. Many of these papers have been widely quoted and have been influential on the development of methods for the cost-benefit analyses of education and technology and the improvement of price indices ("hedonic" regression methodology). They are characterized by a blend of econometric rigour with attention to empirical detail, data quality, and relevance. The books is aimed at students and researchers in econometrics.